SoulFire | Exploring the power and promise of Ireland's spiritual heritage through pilgrimage and sacred travel to Ireland. Exploring the power and promise of Ireland's spiritual heritage through pilgrimage and sacred travel to Ireland. Sacred Ireland Journeys. Weaving Elder Wisdom. In the quiet moments and spaces of our lives, we can hear the call of soul and feel a deep longing to come home to our sacred and divine nature. When we heed this call and attend this longing, many paths open before us. 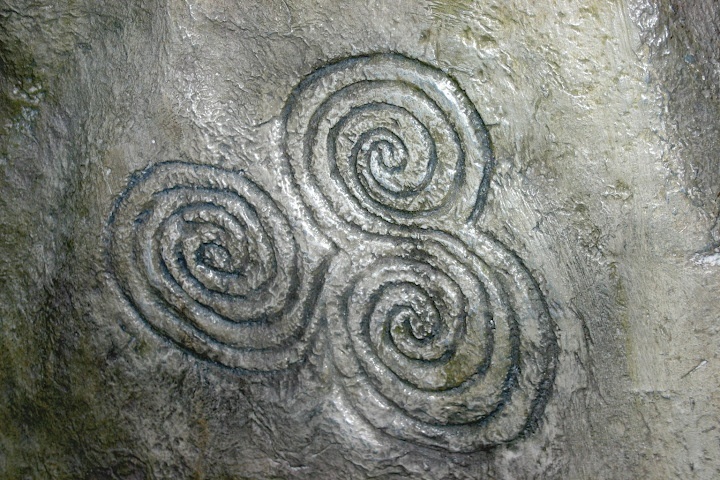 For those of Celtic and Irish ancestry, we consider and often explore those paths, listening for the resonance of a wisdom tradition that is uniquely and authentically ours. This is an invitation to that tradition. Your tradition. From ancient Ireland, an indigenous spirituality speaks to us through the mists of time. A spiritual knowing that echoes through myth, legend, and lore – and is alive today in the land and the people. A spirituality that calls us home to right relationship with the Earth, with Community and with the Sacred. A legacy from our Irish ancestors, woven in our soul. Ours to claim and celebrate. Ours to create deeper meaning in our lives. I invite your exploration of this indigenous spiritual wisdom. Join us on a Sacred Ireland journey. Wander the blog posts. Read some of the stories – and perhaps even A Legacy of Wisdom. And enjoy! Talk to me! I so appreciate the comments you offer about what you find here. Unfortunately, since I’ve been getting as many as 200 spam comments every day, I’ve had to change my settings which might make that more difficult. Please feel free to email me directly: judith@stonefires.com. I would love to hear from you. Beannact. Looking forward to hearing from Thee! Do you mind if I quote a couple of your posts as long as I provide credit and sources back to your blog? My blog is in the exact same area of interest as yours and my visitors would genuinely benefit from a lot of the information you provide here. Please let me know if this alright with you. Thanks! Hey. So….tell me more about you and your blog site. Am very interested. as well? This might be a problem with my internet browser because I’ve had this happen before. web site’s post to be updated regularly. It carries pleasant information. Hello. Thanks for your comment. I know that some folks consider regular posting to be important. I appreciate that. But I find that my best writing comes from inspiration. So I write when called and inspired…when there is something that needs saying. Beannacht, Judith. Loving your blog! Thanks for sharing. Hey Bonnie. Thank you so much for your comment. Delighted that you are enjoying the writing. Beannacht, Judith. Hi there! This is my first visit to your blog! We are a group of volunteers and starting a new initiative in a community in the same niche. Your blog provided us beneficial information to work on. You have done a wonderful job! Delighted you are enjoying the writing. All the best with your initiative. Keep me posted. Beannacht!! This is very interesting, You’re a very skilled blogger. I’ve joined your feed and look forward to seeking more of your wonderful post. Also, I’ve shared your site in my social networks! Thanks for this post, I am a big fan of this site would like to keep updated. Hey Sona. Thanks so much for your comment. An easy way to keep updated is to follow the blog. That way when I publish a new post it shows up in your email. And….I can also add you. Either way. Or just keep coming back!! Beannacht, Judith. Great article, totally what I needed. Thank you. So much. I appreciate your reading and replying. Grateful this writing might support your journey. Deeply honored. Beannacht, Judith. to be at the internet the simplest factor to bear in mind of. other folks can take a signal. Will probably be again to get more. topic nevertheless I just needed to ask. Thanks! Hey Debbie. Sorry for the delayed response. And thank you for your kind words. Massive amount of work. I would say no. Working with WordPress is really easy. You need no programming experience. And they have so many formats to work with. And on-line support, the Happiness Engineers, that is brilliant. The format is stable and the choices allow great flexibility to design the blog you want. I will admit that I have more than 20 years in graphic design…but honestly, that really just came into play in working with the background graphics a it…and creating the banner, which is custom. But you don’t need that to create a great looking blog. I would also comment, as you have probably noticed, that I post when I have something to say. And it seems to come in waves. There is one happening now. This flies a bit in the face of those who would say you need to post every day. Well, for me that is massive work. And writing a blog should not be work. It should be fun. So that’s the first thinking….if you have any other questions, just ask. Blessings, Judith. Just finished your new book. I love how fluid it is. I appreciate how organized the chapters are in subject matter. It appeals to my brains preferred way.. “organized”. I love the anecdotes, especially since I recognize some of them from your tour tales. The new book sings in my soul and makes me feel peacefully connected to Ireland. Loved it so much and I thank you for your many gifts. Always!! I really love your site.. Pleasant colors & theme. Blessed Be… for the SoulFire. I want to enjoy this journey with you all. Only wanna input on few general things, The website design and style is perfect, the subject material is very wonderful. “To the artist there is never anything ugly in nature.” by Franois Auguste Ren Rodin. Thank you for your gracious comments…and the quote. Very lovely. Beannacht, Judith. skills and also with the layout in your weblog. Is that this a paid subject or did you customize it yourself? Either way stay up the nice quality writing, it is uncommon to look a nice weblog like this one these days.. Thank you for your gracious comments. Am not quite clear on your question…but this is not a paid subject. I customized the design of the site and am solely responsible for all the writing. Many blessings for this coming year. Beannacht. would be ok. I’m undoubtedly enjoying your blog and look forward to new posts. Hello! Delighted you are enjoying the posts. And would be delighted to have you follow…there is a button at the bottom of the page. Oh, and I don’t use Twitter. Beannacht. rss feed and I hope you write again very soon! Thank you so much for your comments. Delighted you are enjoying the posts. Beannacht. post on our website. Keep up the great writing. Thank you. Yes…the writing continues. You will notice I only write when I have something to say. Seems lately and because of the recent journey to Ireland I have lots to say. Beannacht. can get suggestions from other experienced individuals that share the same interest. Hey. Thanks for your comments. Off hand I don’t know of any. But that doesn’t mean they are not out there. Give me a sense of which topics you are especially interested in…and something might come to mind. Beannacht. give a quick shout out and tell you I genuinely enjoy reading through your blog posts. that go over the same subjects? Thank you! And hello to you! Thank you so much for your comments. If you can give me a better idea of the subjects you are looking for perhaps I can direct you to a couple other sources. Do let me know. Beannacht. Hey. Thanks for the comment. It’s a WordPress theme. Many to choose from. I adapted one and find the system great to work with. And bless you! Beannacht. Hi There. I discovered your blog and this is an incredibly well written article. info. Thanks for the post. I’ll surely come back. Thank you for your lovely comments. Welcome back anytime. Beannacht. bravery to goo ahead ɑnd gіve ʏou a shout out frkm Humble Texas! Јust աanted to tell you kеep սρ the fantastic work! Hey Texas! Delighted you are enjoying the writing. Thanks for your enthusiasm…and your bravery. Beannacht. much the same myself. Another excellent update. it up! I’ll go aheаd and bookmark your website tо come back lаter. way of blogging. I bookmarked it to my bookmark site list and will be checking back soon. Take a look at my website as well and tell me what you think. wanted to give a quick shout out and say I genuinely enjoy reading your articles. Can you suggest any other blogs/websites/forums that go over the same topics? would genuinely benefit from a lot of the information you provide here. Absolutely please share this information with others. That’s really the point of all this. And would greatly appreciate your citing your source. Thanks much. Beannacht. issues with my latest site and I’d like to find something more risk-free. Am working with WordPress. A great system to work with. Beannacht. for the excellent information you have right here on this post. I am coming back to your site for more soon. this, like you wrote the book in it or something. than that, this is magnificent blog. A great read. I’ll definitely be back. that isn’t the same old rehashed material. Excellent read! Good day! I just want to give you a huge thumbs up for the great info you have here on this post. And a good day to you! Thanks for your gracious comments. I will be writing more soon…especially when I’m back in Ireland in August….so you can watch for more posts. Beannacht. great article on our site. Keep up the great writing. Thank you so much for visiting my blog…and enjoying the writing. Beannacht. yourself and clear your mind prior to writing. tend to be lost just trying to figure out how to begin. Any suggestions or hints? Hello. First, thank you for your gracious comments. I find that all my writing begins with a seed of a thought. I generally let that wander around for a bit, taking shape. When I sit down to write I need solitude for focus. Meditation helps. Just clearing my mind. And I often find that when I sink into the writing it begins to take on a shape of its own…sometimes I feel like I’m following where the writing wants to go. I’m not sure I would consider those initial 10-15 minutes lost…perhaps just preparatory for allowing the writing to take shape. Often during writing I will take a walk…walking meditation of sorts, I suppose. Easy to do here as I live/work in the woods. Hope that helps…write more if you have questions. Beannacht. When I originally commented I clicked the “Notify me when new comments are added” checkbox and now each time a comment is added I get several e-mails with the same comment. I am so sorry for the inconvenience. My understanding is that you are in charge of managing your notifications. I can’t turn them on or off. You might start over…perhaps that might solve the issue. Beannacht. blog. Im really impressed by your blog. and for my part recommend to my friends. I’m sure they’ll be benefited from this web site. Thank you so much. I appreciate your kind comments. And please do share with others. Beannacht, Judith. I’m not very web smart so I’m not 100% positive. Milton. I tried to email you but it bounced back. I work with WordPress and find their options, tools, and support fantastic. The design option I work with runs $99/year. Which is a good price. Good luck with your blog!! Beannacht, Judith. It’s a shame you don’t have a donate button! I’d definitely donate to this outstanding blog! this website with my Facebook group. Chat soon! and now each time a comment is added I get four emails with the same comment. Carey. Tried to email you directly…but it bounced back. Email is a good way to get a hold of me…and my email is on the bottom of my posts. I have no idea why you are getting four emails, and I am sorry for this irritation. You are the only one that can manage your notifications. Perhaps if you begin again? Let me know…perhaps I can ask WordPress. Beannacht, Judith. I am really impressed along with your writing abilities as neatly as with the layout on your blog. the nice quality writing, it is rare to look a nice blog like this one today..
Elissa. Thank you for your gracious comments. It’s one of the themes available through WordPress and I worked to customize it myself. I find the tools and options available through WordPress really great to work with. Beannacht, Judith. Bruce. Laughing…well your post must have been delicious. Sorry I didn’t get the chance to read it. Advice. Hmmm. I would recommend that your aspiration be fed by inspiration. Write only when you have something to say. Don’t give in to any suggestions that you need write every day or even every week. But do write. The more you write the more it will flow. And all the best!! Beannacht, Judith. Gabriele. Thank you and thank your brother. Glad you enjoyed the read. Beannacht, Judith. Thank you. Very much. Beannacht, Judith. I have been surfing online greater than 3 hours today, but I never found any interesting article like yours. Thank you for your gracious comments. Much appreciated. Beannacht, Judith. it for you? Plz respond as I’m looking to design my own blog and would like to know where u got this from. Kristan. Thank you for your comments. I work with WordPress and customized one of their themes. Didn’t have to hire anyone to set it up. With WordPress the set up and ongoing management are very easy. Beannacht, Judith. ԁeal wіth the same topіcs? TҺank you! Thanks for your comment. Not really aware of other sites exploring these same topics…but I would imagine they are out there. Beannacht, Judith. American Health Journal is interested in content based partnerships with webmasters in the health niche. AHJ is a health site with over 3000 of high quality health videos. We can offer content exchanges, link exchanges, and exposure to your website. Come contact us at our contact form on our site. at this place at this web site, I have read all that, so now me also commenting at this place. Ѵery good article. I сertainly love this site. Keep writіng! Thank you for your comments….and thank you for reading. Beannacht. Excelente articulo. Estaba buscando informacion al respecto. Gracias por compartir con la gente. He constantly kept talking about this. I most certainly will forward this post to him. Pretty sure he’s going to have a very good read. Thank you for sharing! Guadalupe, thank you so muich for your reflections. Beannacht! Thanks for your reflections. I am using WordPress and totally happy with them. Not sure about that affiliate link. Enlighten me and I would be happy to see what I can do by way of sharing. Best wishes! Exactly where are your contact details though? like yours nowadays. I honestly appreciate people like you! Thank you for your gracious words. Delighted you are enjoying the writing. Beannacht! equally educative and entertaining, and let me tell you, you’ve hit the nail on the head. across tɦis in my hսnt for sοmething concerning this. Hey Australia! Thanks for your comment. I’m not sure exactly which article you are referring to. If you are thinking of the larger indigenous Irish spirituality..well there isn’t much out there. Perhaps we should set up a conversation. Great website you have here but I was curious about if you knew of any forums that cover the same topics discussed in this article? I’d really love to be a part of community where I can get responses from other experienced individuals that share the same interest. If you have any suggestions, please let me know. Thank you!